Congratulations to our four lucky winners who we have contacted this morning and who are all excited about going shopping on Heatherly Design at two of our favourite brands Bonnie and Neil and Elk Accessories. We loved Tamara’s attention to detail in her daughter’s bedroom in Geelong Victoria. The splashes of aqua on the spotty wallpaper teamed with our Fenwick created a dreamy little girl’s bedroom. Lara’s master bedroom in Mordiallic Victoria features our Albertine bed and footstool on a damask wallpaper which certainly creates the “wow factor” so many of our clients strive to achieve when choosing a deep buttoning design. We loved the layering of pillows and the beautiful bedside lights which add that finishing touch and a little bit of glamour to this room. Tania from South Australia has added pops of colour with orange and charcoal cross stitches on her Fenwick bedhead which tie backs with her artwork and pillows. Loved that her dog was styled for the occasion as well! Finally Bridget’s bedroom in Little Bay NSW showed anything is possible when you keep to a white theme in linen and bedhead. The combination of Bonnie and Neil cushions, a dynamic print and Penguin books added personality and showed attention to detail in pulling this scheme together. Thank you to all our entries. 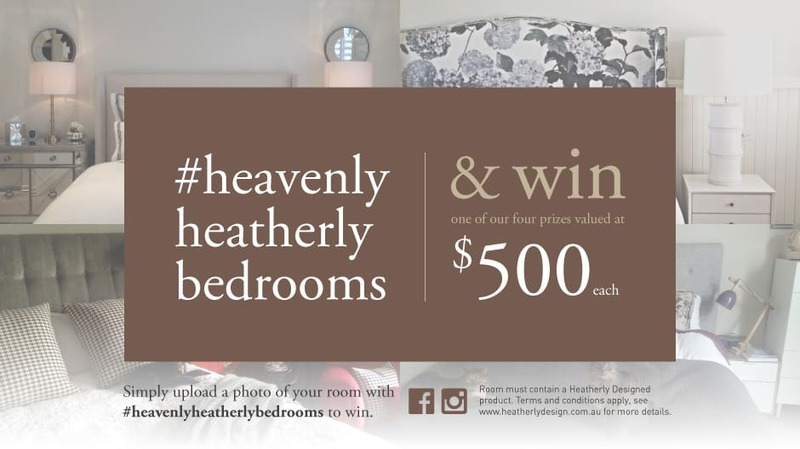 It is always a hard decision for the team here at Heatherly to select only a few winners out of so many great entries. Warmest regards for the busy festive season ahead. Posted in News & Special Offers. 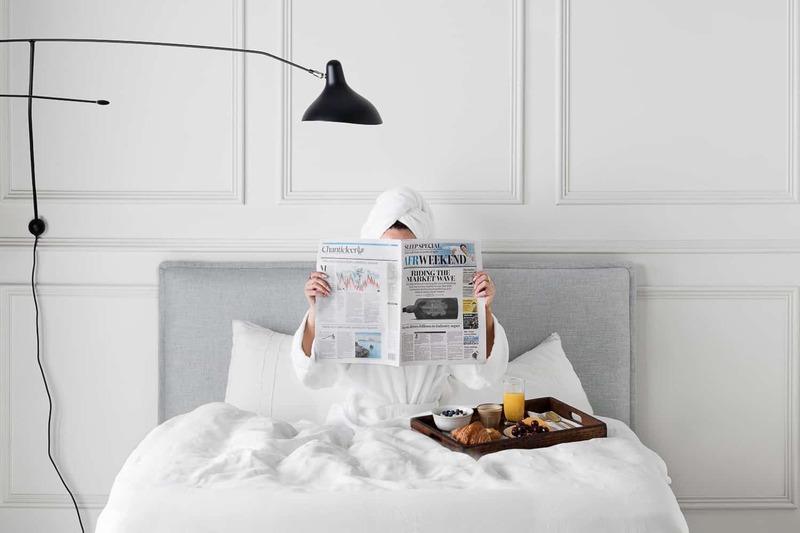 Older →A BED OR A BEDHEAD AND VALANCE OPTION? THAT IS THE QUESTION.